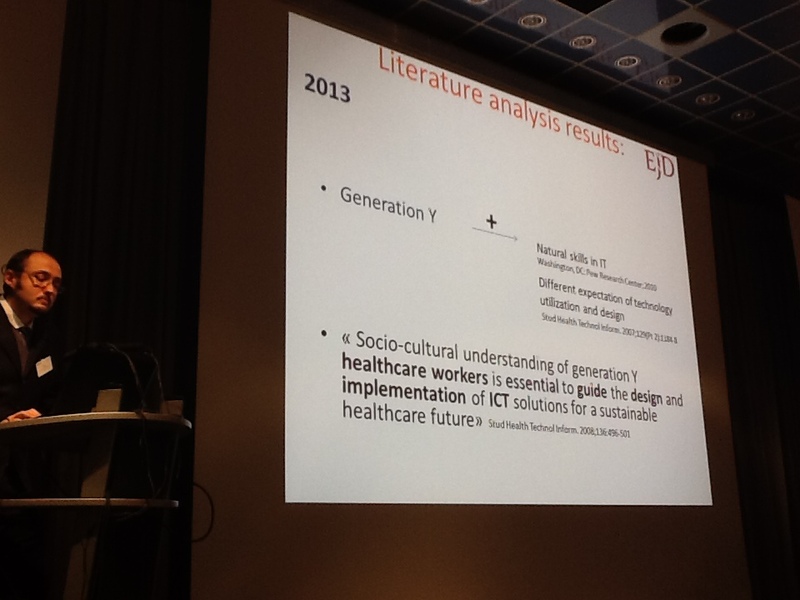 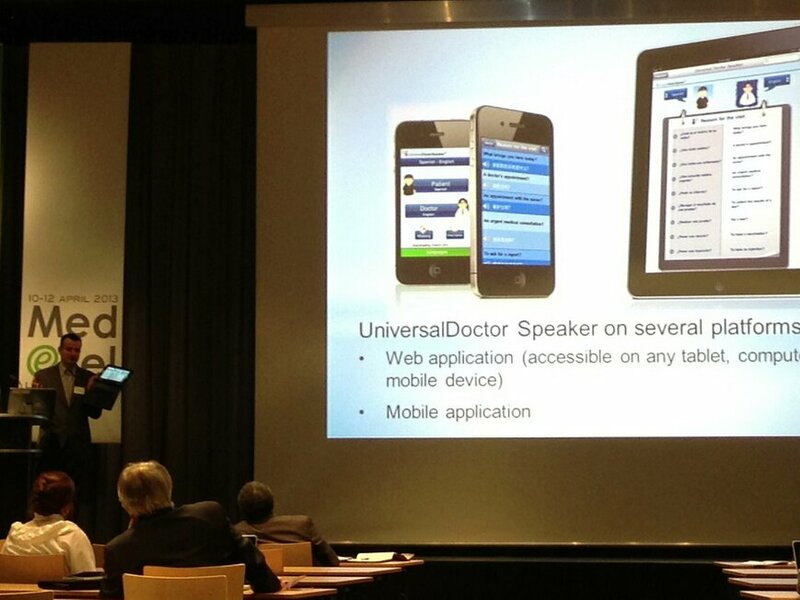 Med-e-Tel is the International eHealth, Telemedicine and Health ICT Forum, taking place in Luxembourg on April 10-12, 2013. 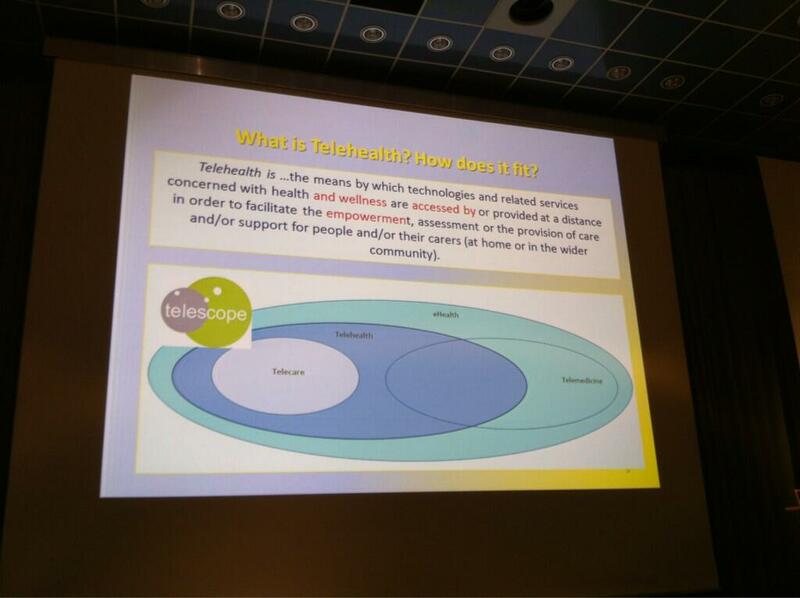 It is an official event of the International Society for Telemedicine & eHealth (ISfTeH), the international federation of national associations who represent their country’s Telemedicine and eHealth stakeholders. 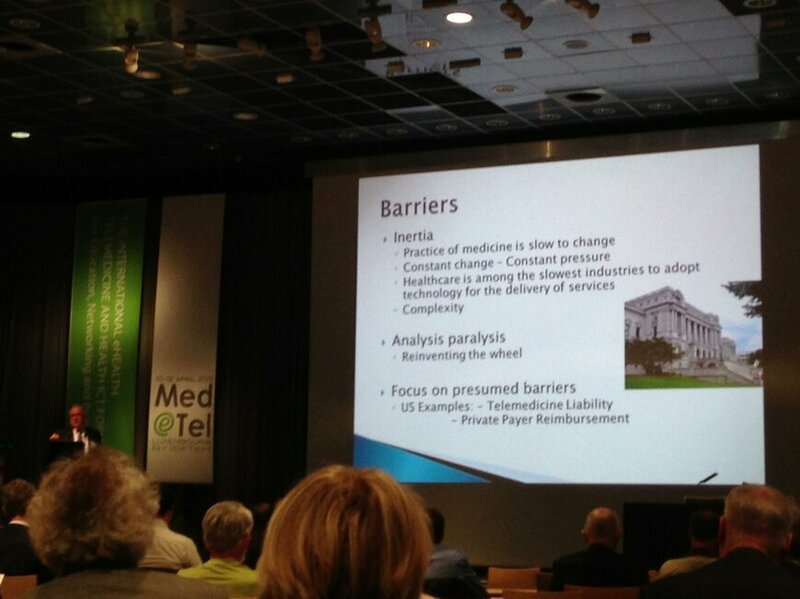 Med-e-Tel focuses on ehealth and telemedicine applications, a wide range of medical ICT applications, and on the convergence of information and communication technology with medical applications, which lead to higher quality of care, cost reductions, workflow efficiency, and widespread availability of healthcare services. 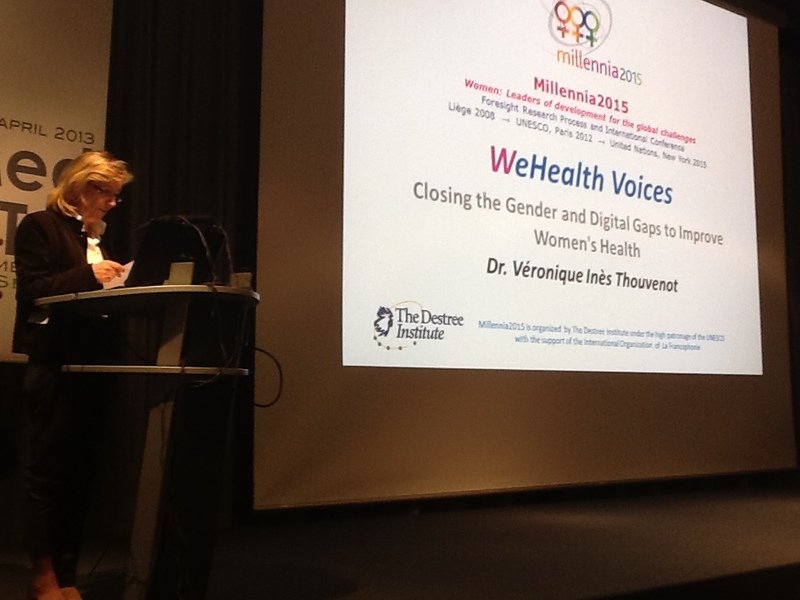 A Special Women and eHealth Session was held yesterday at Med-e-Tel, put together by the Millennia2015 Women and eHealth International Working Group. 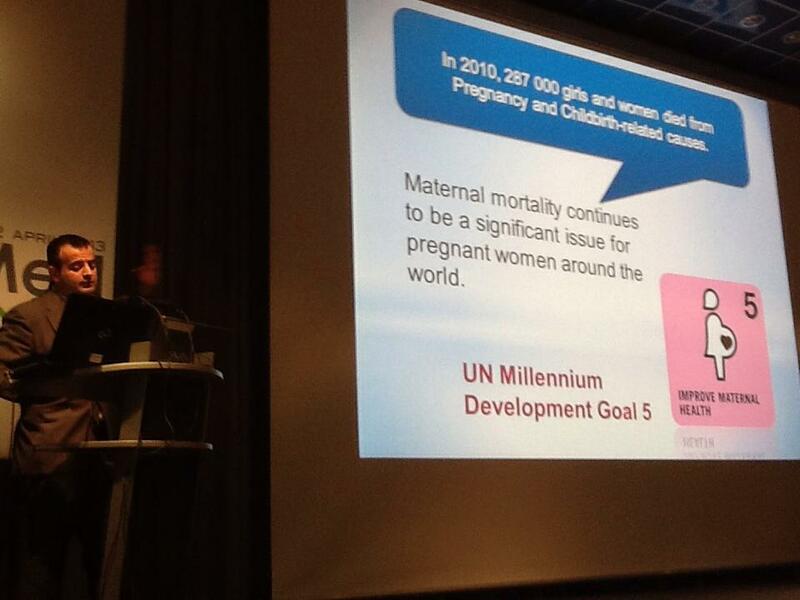 During this session, our new multilingual eHealth tool for maternal health, UniversalWomen Speaker, was presented by Dr. Jordi Serrano Pons. 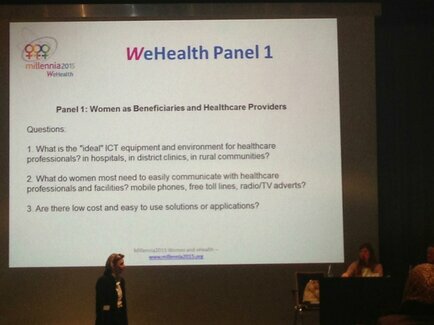 The session consisted of a series of discussion panels in order to design a global mapping of the roles and places of women within the arena of eHealth and Telemedicine. 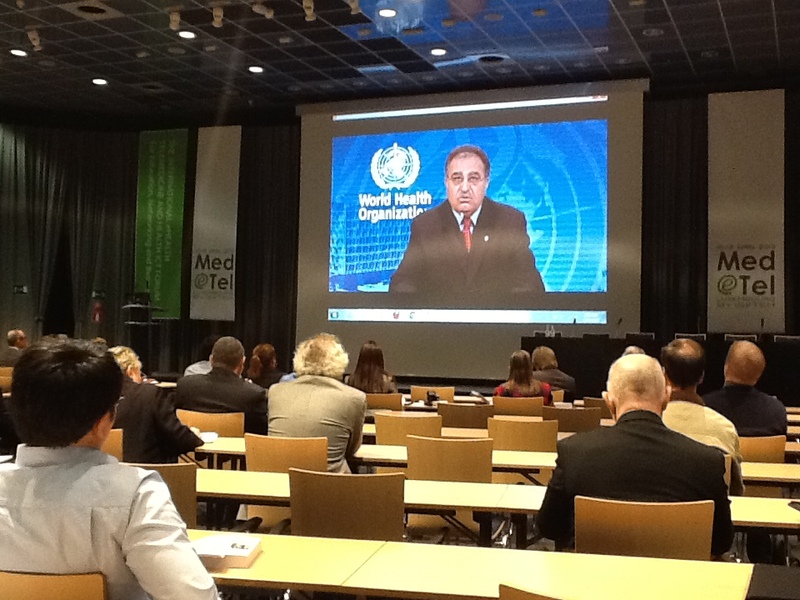 Following this session there was an official launch of the ISfTeH Working Group on Women (WoW). 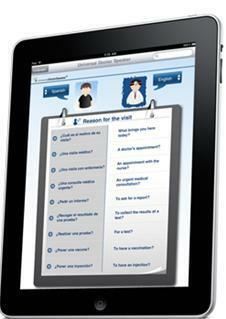 To find out more about the program for this special session, click here. 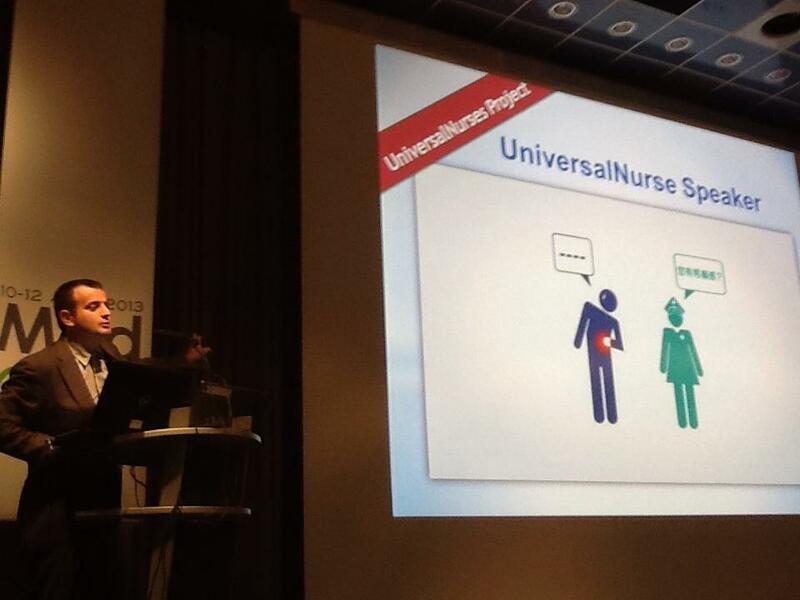 Discover the presentation of UniversalWomen Speaker. 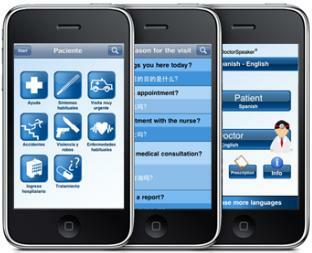 Healthcare is among the slowest industries to adopt technology. 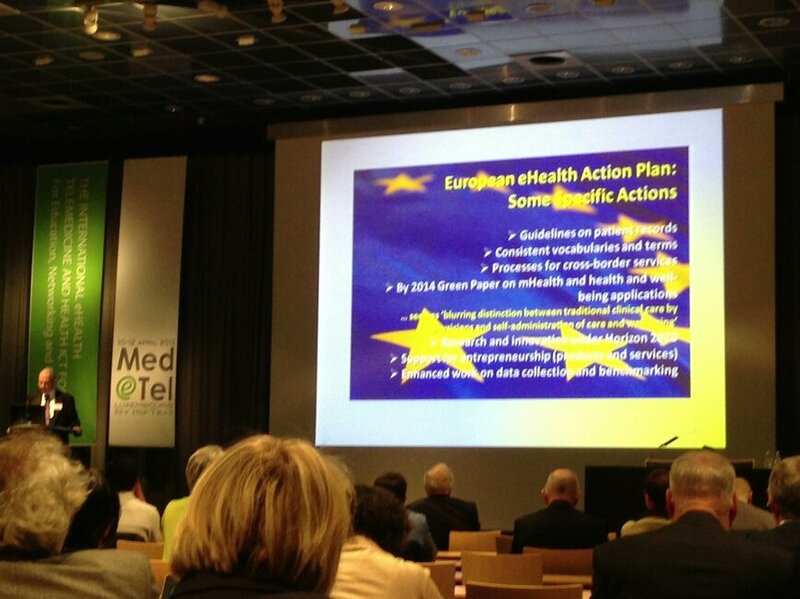 European eHealth Action Plan. 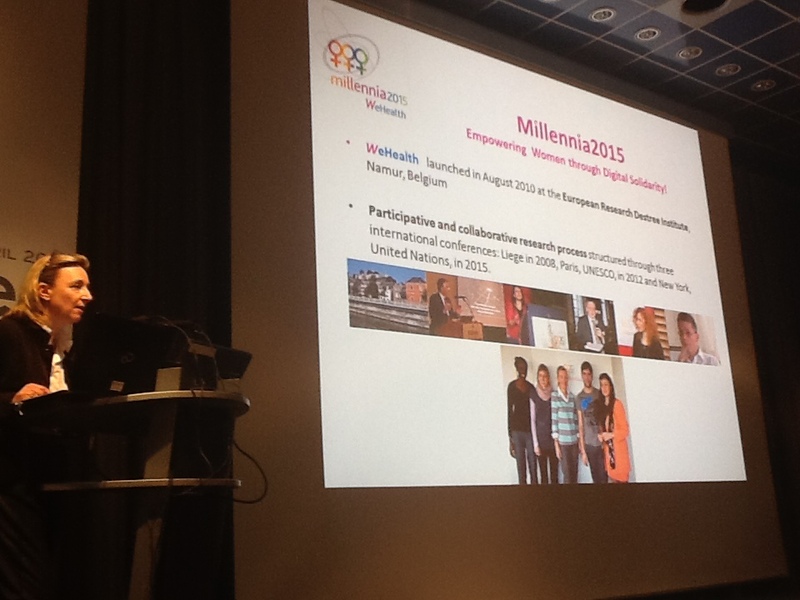 Focus on more research, evidence and entrepreneurship. 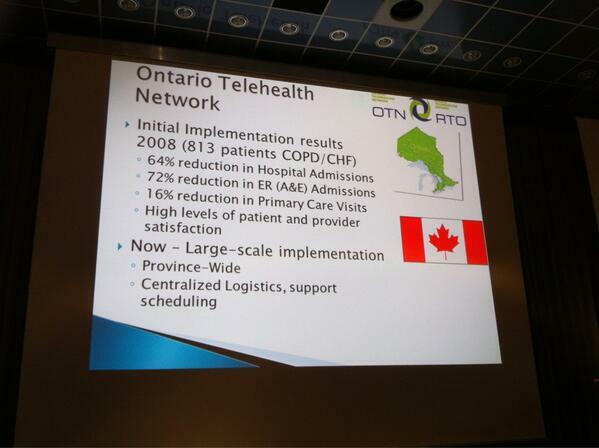 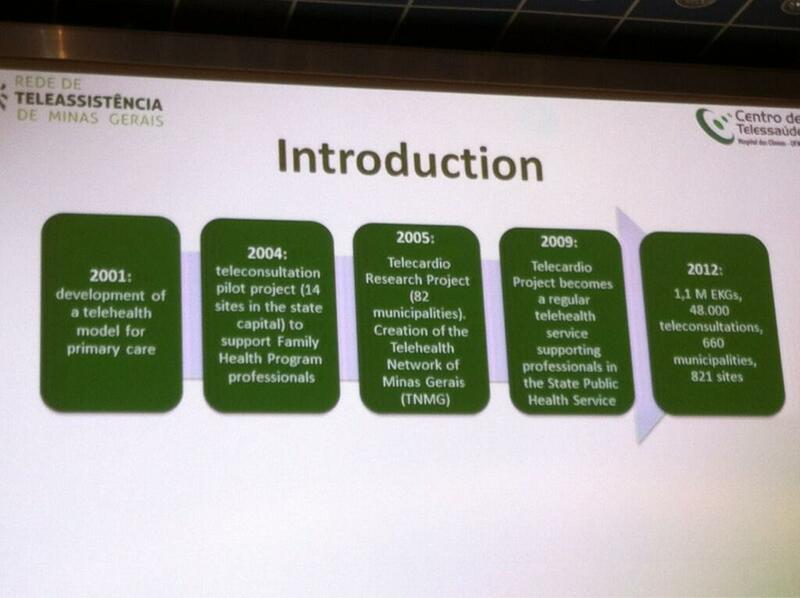 Brazil’s path from telehealth experiment to full fledged telehealth service in 8 years. 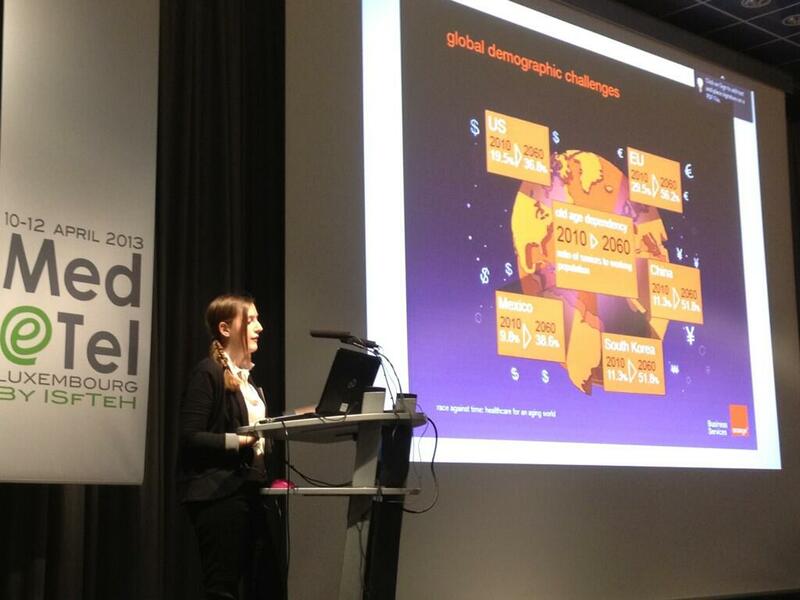 The audience at Medetel 2013 in Luxembourg. 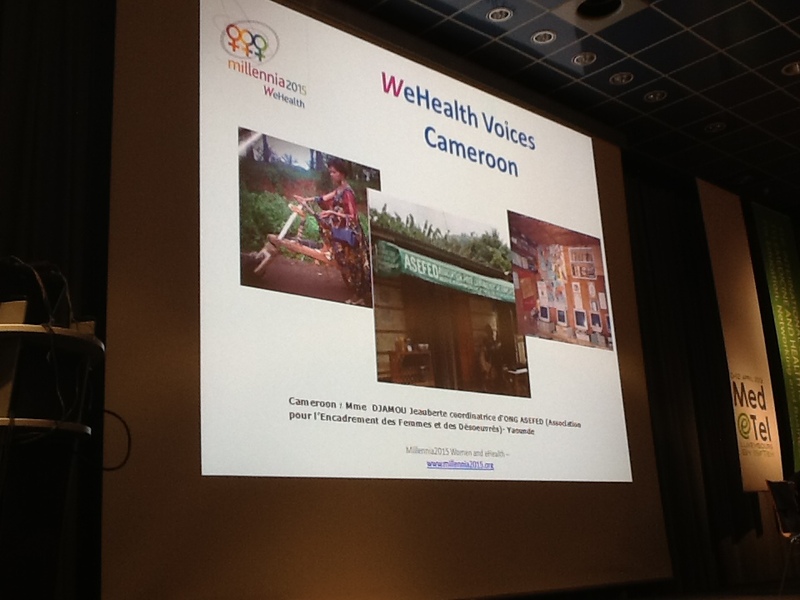 Photos kindly shared by: @OrangeHCare — @lygidakis — @vthouvenot — @DrKristie — @EMahdavy — @UniversalDoctor. 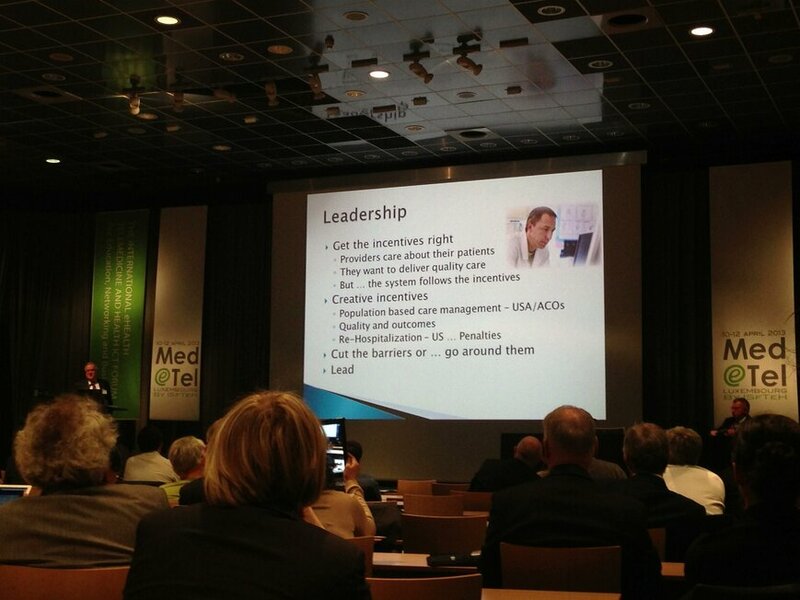 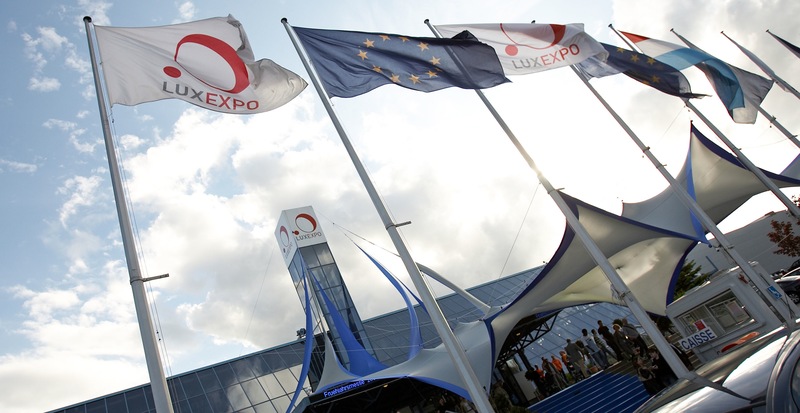 Follow these Twitter accounts to informative updates live from Medetel 2013! 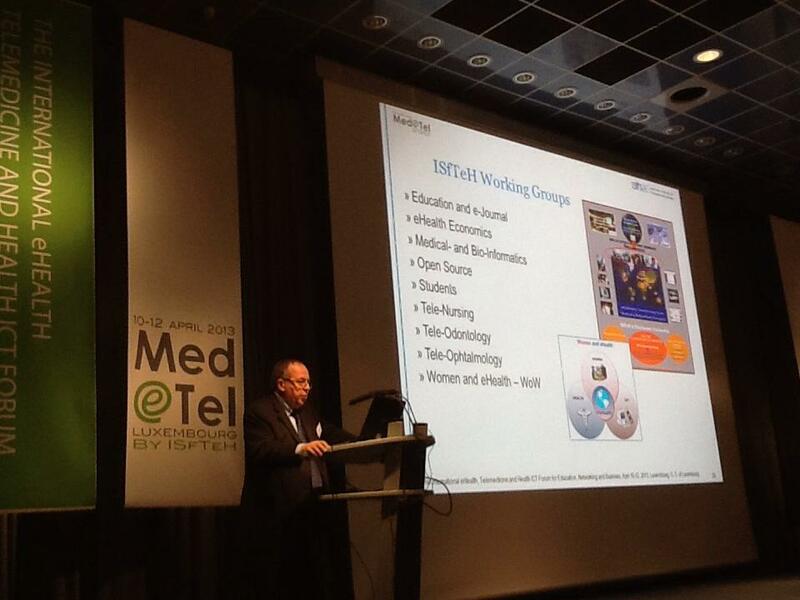 The ISfTeH exists to facilitate the international dissemination of knowledge and experience in Telemedicine and eHealth, to provide access to recognized experts in the field worldwide, and to offer unprecedented networking opportunities. 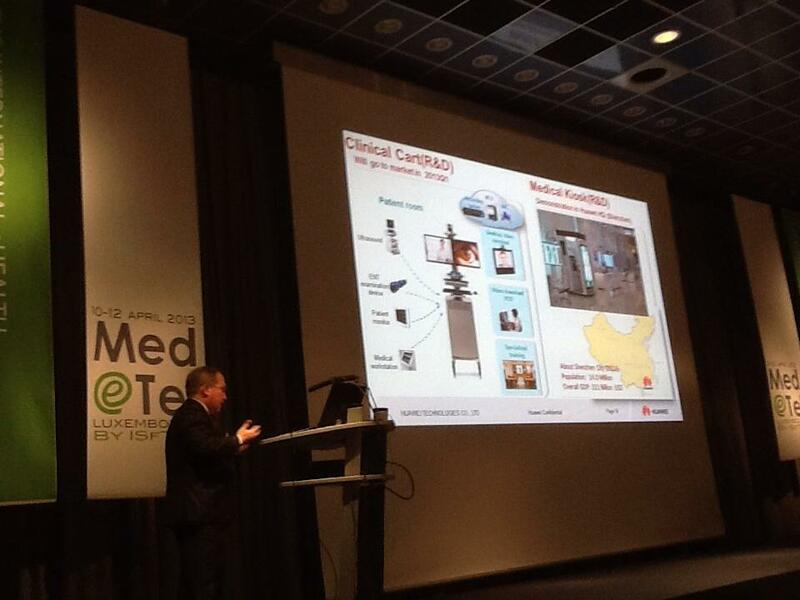 Med-e-Tel is one of the instruments that help the ISfTeH to realize this mission. 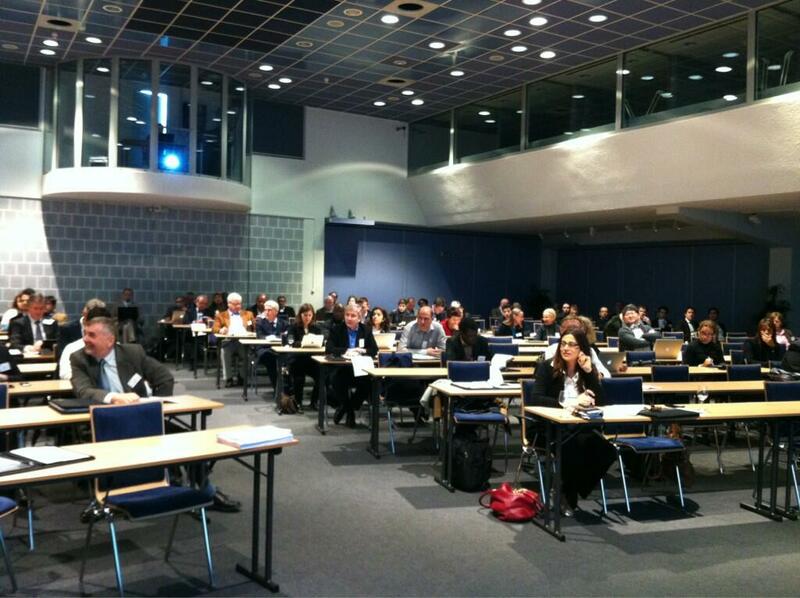 The ISfTeH network currently comprises members in 70 countries around the world.